Born in Southampton, England, William Shayer Senior spent most of his career working nearby his native city. Self taught as an artist, he became an accomplished painter in the British Romantic tradition. 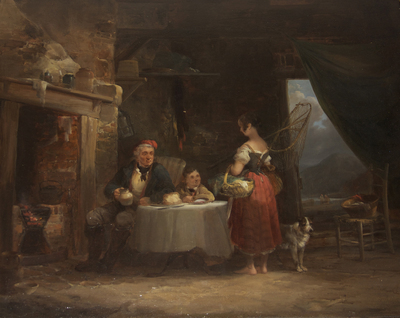 His subjects largely focused on woods; coastal views; and scenes related to the everyday lives of farmers, fisherman, and other working-class people—who the artist presented in an idealized light. A highly prolific painter, Shayer’s work is in the Tate Britain in London and in numerous regional British museums.